Starting at $35/hr 3-Hour Minimum. Regular cleanings $35.00 per hour. Non-maintenance cleanings and first time cleaning or clean outs $40.00 per hour. Accepting new clients in South Anchorage only at this time. Ask about our Gift Certificates, they make great gifts! I try to use the most efficient equipment and supplies when I work for you. The faster and better I can do my job, saves you money by me taking less time. On occasion, depending on the job I may charge a supply fee to help me recover the above normal amount of supply cost. Watering flowers or gardens or other duties 33.00/hour. Cigar/Cigarette Notice: Due to the serious health risks we cannot clean homes that have been smoked in, thank you. Travel from Klatt and Old Seward within a 5 mile radiance no charge. Over 5-10 miles radiance. There will be a 5.00 extra fee. 10-30 mile radius there will be a 10.00 extra fee. Additional travel fees may apply depending on location. Get started by giving me a call! We’ll work out an interview time to meet and get aquainted, work out a cleaning schedule and go over any other special needs for your home. What’s the Cost of a Professional Cleaning Service? Hiring professional cleaning services from Ms. Clean is a cost-effective way of keeping your home clean and spending your time the way you want. Should you choose Ms. Clean for a recurring professional cleaning service, the initial clean of your home will be a deep clean and bring your home to a maintenance level. This will be charged hourly; Ms. Clean will be able to provide an estimate of hours and cost at your initial consultation. 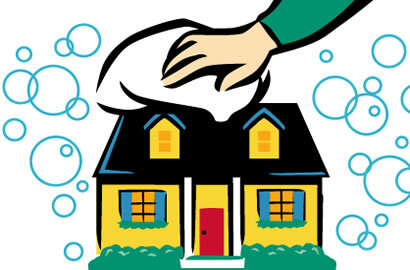 Tour of your home – You and Ms. Clean will walk through your home, and discuss how each area will be cleaned. Information about Ms. Clean – For over 7 years, Ms. Clean has been providing cleaning services that help families find quality time together. Cleaning estimate – At the end of the tour, you will be provided an estimate that will outline the costs of your cleaning needs. If you have any questions about my affordable cleaning services, contact me for a free, no-obligation quote. What’s Included In My Cleaning Service Plan? Your home is your escape, your space, your area of relaxation. Give yourself the gift of time and let Ms. Clean clean your home the way you want it cleaned. After spending a hectic day at the office, on the errand trail or at school, Ms. Clean is the smart choice for professional house cleaning. Bathrooms: I clear the room of cobwebs and dust, then wipe clean counter-tops, basins, faucets, mirrors, tub and surrounding areas. I will clean the tile, the inside and outside of the shower door(s), sanitize the toilet inside and out and vacuum and mop the floor. Bedrooms: I dust every surface that sticks out, including window sills and baseboards. Then, I’ll clean hanging picture frames, mirrors, furniture and items that are sitting on the furniture. There is an option to make up the bed with fresh linens as well. I will finish the bedroom with a thorough vacuuming. Dining room: Starting with dusting the light fixture, I’ll then wipe clean the table, chairs and other furniture. I’ll finish by vacuuming. Living room: I take care of all dusting/cleaning details mentioned with the addition of vacuuming furniture, including under the cushions. Laundry room: I will wipe clean surfaces, including the washer and dryer, vacuum and/or mop floor. Kitchen: As the hub of the home, the kitchen receives the most special treatment. I start by wiping clean all counter-tops and small appliances (toaster, coffee maker, etc.) then clean inside and outside of the microwave. Then, the stovetop, drip pans and under hood are cleaned as well as the appliances, cabinets, kitchen table and chairs. I’ll finish by vacuuming and mopping. Additional rooms and services are available with a Ms. Clean service plan. Ms. Clean’s services have been trusted by hundreds of families over the years. 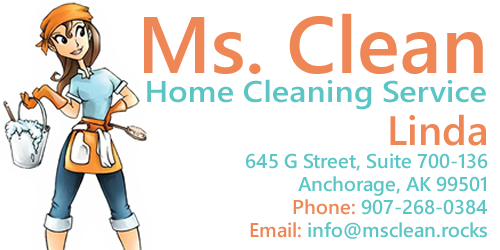 Request service from Ms. Clean today and give yourself the gift of time and relaxation.